There’s no question about it - if you’re in the market for a tablet nowadays that can strike a solid balance between productivity and style, raw power and portability, with excellent sound and a stunning display also in tow, Apple’s latest iPad Pro generation will deliver on all fronts. Unfortunately, the 11-inch model typically starts at $799 (Smart Keyboard Folio and Apple Pencil not included), which isn’t exactly crazy affordable. 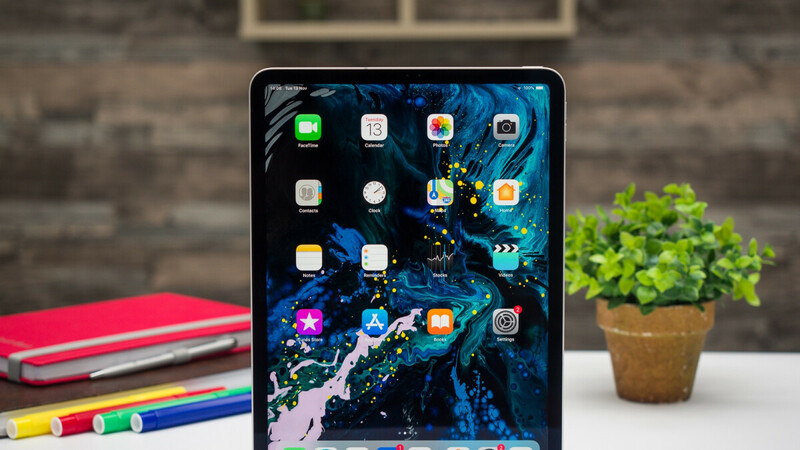 But both the smaller and larger 12.9-inch variants of the 2018-released iPad Pro have been on sale more than once recently, scoring up to $150 discounts at reputable third-party retailers like Best Buy. If you haven’t pulled the trigger yet, we have some excellent news for iOS-powered bargain hunters, as the entry-level iPad Pro 11 configuration is currently cheaper than ever before at Micro Center. You’re looking at a 64GB Wi-Fi-only model here, available for a pretty reasonable $649.99 after an unprecedented $150 markdown. Previously, you could save that much on costlier 11 or 12.9-inch variants with more storage space, which was also nice. But odds are you can make do with as little as 64 gigs of internal digital hoarding room when you add cloud storage in the equation. The only inconvenient aspect of this new 11-inch iPad Pro (2018) deal is that you need to visit a physical Micro Center store to actually take advantage of it. There aren’t many of those around the country (just 25, to be specific), but if you live near one, you can reserve a heavily discounted iPad Pro 11 unit with free store pickup. You can also choose between silver and gray color options, and if you’re wondering, the same exact configuration is roughly 80 bucks costlier at B&H Photo Video right now, as well as available at its full retail price of $800 from Best Buy. So, yeah, $650 is a pretty sweet deal. apple drove the prices sky high and sammy followed, fu both. It can stay right on the shelf. I’m good with the 10.5. Might get a Surface Pro 6 or wait on 7. Been reading reviews. And also when you buy an expensive item, you don't hope it comes flawless out of the box, you EXPECT that. Your comment sounded like a paid ad for the iPad, deflecting the root of the problem and trying to blame it on the costumer and the reviewers. Well said. He was doing damage control. I had 100% plans to buy one, until it was bent out of the box, and apple as usual, tried to smooth it over. Mehhh...I'm good, keeping my 2016 12.9 model. Bro, and as apparent in this case, fanboys will always defend the indefensible. As much as I loved the Note 7, I was the 1st to call out Samsung and demand a refund for my money. As much as I loved the Mate 20 Pro, I made sure I call them out for gluegate and the awful panels they equipped the Mate 20 with, and ended up returning my wife's and mine as well. No brand is worth loyalty, they could care less about me, you, and everyone else. If it wasn't for online forums and articles about batteries exploding, terrible screens, bent iPhones and iPads, you think these companies would've bothered and replaced our damaged products? 100% agreed, couldn't have said it better. They could care less, and I have zero brand loyalty. I'm glad Apple is getting its a$$ kicked, and Samsung too with the Note 7. Samsung responded though, now let's see what Apple does with it's own situation. Apple needs this, to wake them up in Cupertino, and get them back to making worthy products. Again, you're deflecting. No one is saying you can't buy whatever the hell you want, it's just amusing watching you promote the iPad and blaming the damage on everyone but Apple. Nope, still not worth the price. That's cool, but not worth the 40+ minute drive for me to get. I believe Wifi tablets shouldn't cost no more than $600 and that goes for the 12.9". There is no reason for a 12.9" 1TB/LTE model should cost nearly $2k. Makes no sense. It should be half of that. I've tried the iPad pro, you can keep it Apple. Next, I'm going to try one of the surface devices, pro or book.